Image courtesy of Jeffrey Elkner and used here under the terms of the GNU Free Documentation License. This post originally appeared on Northwestern University Knight Lab’s blog. Learning a new programming language is both the most exciting and the most humbling experience. For me, that language has recently been Python, which I’ve been learning over these last few months. And as every coder knows, the best way to learn a language is to apply it in a project. But what happens when you don’t have a giant, ambitious project? For me, that’s where the sandbox comes in. Why not build a few sandcastles before piling up the rocks to our grand ol’ castle? "As every coder knows, the best way to learn a language is to apply it in a project. But what happens when you don’t have a giant, ambitious project? For me, that’s where the sandbox comes in." 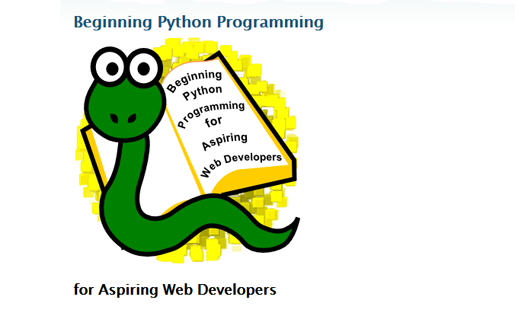 With that in mind, here are five mini-programming projects to get you started on learning Python. The exact solutions aren’t here — that’s where the most important learning comes into play — but there are hints as to the concepts that you should be using. And remember, Google is your friend! Jumping off the first project, this project continues to build up the base knowledge and introduces user-inputted data at its very simplest. With user input, we start to get into a little bit of variability. A pretty fun beginning project that gets you thinking about how to manipulate user-inputted data. Compared to the prior projects, this project focuses far more on strings and concatenating. Have some fun coming up with some wacky stories for this! The tricky parts here will involve setting up the directions and keeping track of just how far the user has “walked” in the game. I suggest sticking to just a few basic descriptions or rooms, perhaps six at most. This project also continues to build on using user-inputted data. It can be a relatively basic game, but if you want to build this into a vast, complex word, the coding will get substantially harder, especially if you want your user to start interacting with actual objects within the game. That complexity could be great, if you’d like to make this into a long-term project. *Hint hint. The Goal: Despite the name, the actual “hangman” part isn’t necessary. The main goal here is to create a sort of “guess the word” game. The user needs to be able to input letter guesses. A limit should also be set on how many guesses they can use. This means you’ll need a way to grab a word to use for guessing. (This can be grabbed from a premade list. No need to get too fancy.) You will also need functions to check if the user has actually inputted a single letter, to check if the inputted letter is in the hidden word (and if it is, how many times it appears), to print letters, and a counter variable to limit guesses. Likely the most complex project on this list (well, depending on just how intense you went with the adventure text game), the Hangman project compiles the prior concepts and takes them a step further. Here, outcomes are not only determined based on user-inputted data, that data needs to be parsed through, compared, and then either accepted or rejected. If you want to take this project a step further, set up a hangman image that changes! Shelly Tan is a designer interested in information architecture and user-oriented experiences. She’s a former intern at NPR Visuals. You can contact her at @tan_shelly or via her personal website. The Knight Lab is a team of technologists, journalists, designers and educators working to advance news media innovation through exploration and experimentation. Straddling the sciences and the humanities the Lab develops projects, prototypes and innovative bits of code that help make information meaningful, and promote quality journalism, storytelling and content on the internet. The Knight Lab is a joint initiative of Northwestern University’s Robert R. McCormick School of Engineering and Applied Science and the Medill School of Journalism. The Lab was launched and is sustained by a grant from the John S. and James L. Knight Foundation, with additional support from the Robert R. McCormick Foundation and the National Science Foundation. how are you gonna tell em to make a text adventure game without classes?!? @dick_sharpe:disqus , Because text based adventure games only came into existence after the concept of classes. If I asked you to write an adventure game in C, would you say its impossible, since there are no classes? Hold the char data in a dict, and move through the story like a choose your own adventure. That could be done without any Classes, hell, it could be done without dicts or most anything.